Sotheby’s last fine wine sale of the year in London includes a line up of “festive treats” from Bordeaux, Burgundy, Champagne and Port. 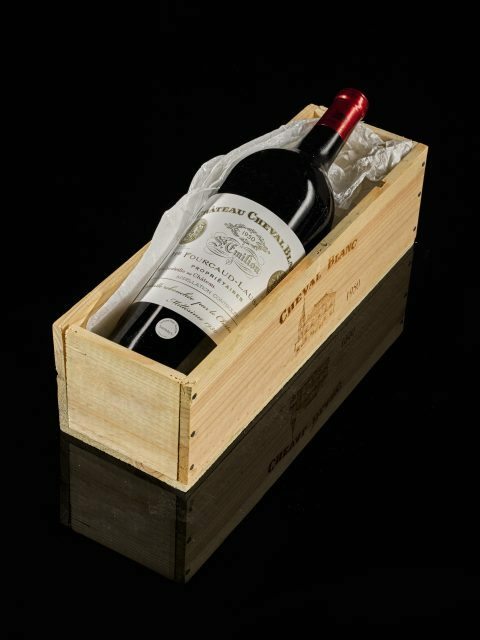 Taking place on 14 December, the sale includes a “stellar” line-up of claret, with first growths spanning 1982-2000 as well as bottles of 1928 and 1959 Mouton Rothschild as well as 1959 and 1961 Latour. Top Right Bank estates include Ausone, Petrus and Cheval Blanc, with four bottles of 1945 Ausone (£2,400-£3,000) a particular highlight. There is also a strong selection of white Bordeaux from Haut-Brion, Laville Haut-Brion and Château Margaux, as well as Sauternes such as 1986 and 1967 Yquem. Domaine de la Romanée-Conti, including a magnum of 1970 Grands Echézeaux, leads the Burgundian consignment, which can also boast wines from Coche-Dury and Domaine Ravenau. Elsewhere there are cases of 1996 and 2000 Dom Pérignon, 1994 Fonseca, Barolo from the 1980s and 1990s, and Guigal’s ‘La La’s’ from 1991, 2007 and 2009.